We live in a glorious bubble of time. 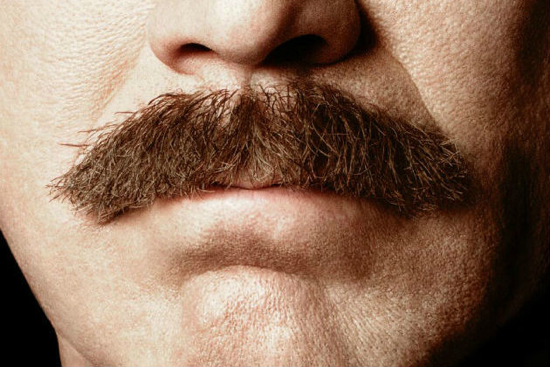 We know Anchorman 2 is going to come out, it has been green lit, it has begun production, and Will Ferrell is sporting a wicked ‘stache. The film exists on a pedestal of excitement that is likely not going to by the finished product. So for these fleeting few months the concept of Anchorman 2 is simply bliss. Paramount insiders tonight confirmed to me what Christina Applegate tweeted a few hours ago: “So excited Kristen Wiig has joined our cast forAnchorman 2.” The sequel formally titled Anchorman: The Legend stars Will Ferrell and Steve Carell plus Wiig in what the studio says is a “new role”. Kristen Wiig was very much the Will Ferrell of her SNL generation, often stealing skits just by being on stage, so to see her enter the Anchorman world makes a ton of sense. Wiig has been successfully making the jump from the ‘not ready for prime-time players’ to big screen in the last few years, and landing a new role among such a star-studded cinematic comedy event only further establishes her rising star.